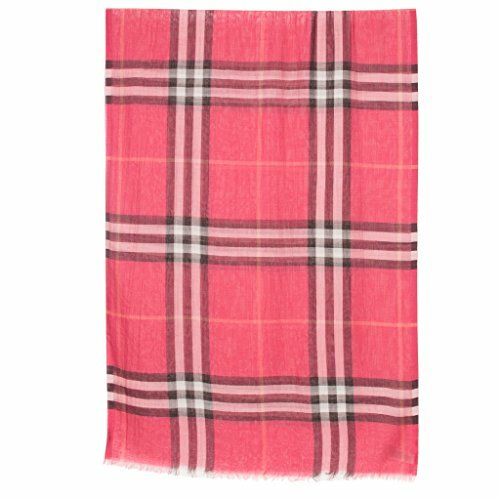 Burberry Check Wool & Silk Scarf: Bright rose check scarf, dry clean only, made in Italy. Approximately 27.6"W x 86.6" L. Fabric: Wool, Silk. Model: 3922716.